Despite recommendations that new mothers breastfeed their infants for at least one year after birth, very few mothers meet this goal. Knowing their barriers to breastfeeding, social, economic, and beyond, how can we help mothers get past these barriers whenever possible? Further, how can we allay the guilt many mothers feel when they are unable to breastfeed? You are listening to ReachMD XM 157, the channel for medical professionals. Welcome to the clinician’s roundtable. I am your host Dr. Jennifer Shu, practicing general pediatrician and author. Our guest is Dr. Lori Feldman-Winter, associate professor of pediatrics at the University of Medicine and Dentistry of New Jersey at Camden and an Executive Committee Member of the American Academy of Pediatrics Section on Breastfeeding. Let us start a little bit with some background information. Can you tell us what the AAP's recommendations are for breastfeeding? The AAP's recommendation for breastfeeding is that except for very rare conditions, almost all mothers are recommended to breastfeed their newborn babies and by that we mean breastfeed exclusively meaning no introduction of any other foods or fluids for the first six months of life and then to continue breastfeeding beyond the first year of life and continued well there after as long as the mother and baby have an interest in continuing breastfeeding. What about the healthy people 2010 goals for initiating and continuing breastfeeding? Well, when we think about the United States, we do lag behind many other developed and developing counties around the world; so we have recommendations for breastfeeding rates that were introduced really at the beginning of the healthy people statements and have continued to exist in all of the reiterations of the healthy people documents; and so our most recent goals for 2010 states that we would like to see at least 75% of the US population breastfeeding at around initiation at the beginning and then 50% to continue breastfeeding to 6 months and then 25% of mothers to continue breastfeeding to a year of life; and while we have certainly come close to reaching that goal particularly for initiation all across the country, there are some states that are still lagging behind particularly in the south-central states. We have a new goal that has emerged because of the persistent low breastfeeding rate at 6 months and 12 months recognizing that exclusivity plays a big part and whether or not moms reach the 6-month and 12-month goal; and that is the goal to have mothers exclusively breastfeed meaning to breastfeed with no other introduction of foods or fluids and initially these are conditions were said to coincide with the way in which we collect our data on rates of breastfeeding for three months and for six months, and so the initial target was to see mother's breastfeeding at the 6-month target to be at 60% at 3 months and to be 25% at 6 months. However because very few women were anywhere close to those goals, in fact the rates at the time that they were set, which was at the mid-point of the healthy people document in 2005. Less than half of women as such were even close to that goal. It was determined to restate those goals, so that we hope to see that at 3 months at least 40% of women in the United States exclusively breastfeeding to 3 months and at 6 months 17%; and just released by the Centers for Disease Control our data that demonstrates that many states have reached that goal, 40% at 3 months and 17% at 6 months; and I think that it really depends on where you set the target because we would like to see more and more women exclusively breastfeeding so that they can reach their overall breastfeeding goals. In addition, we recognize that all of the health benefits that we are going to talk about are related to not only breastfeeding to any extent, but to exclusively breastfeed to the greatest intensity you call that breastfeeding intensity to the greatest extent possible and it depends on the health outcome that we were speaking about where that becomes more and more important. You mentioned that some states have lower breastfeeding rates than others. What are some of the social, economic, geographic, and other factors that can influence breastfeeding duration? Well, we know that breastfeeding is least likely to occur in young women of lower socioeconomic status women that have fewer years of education and also geographically women as I mentioned in the Southern <_____> states seem to have the lowest breastfeeding. So, there tends to be geographic preferences and much of that is bound in culture; and so when we talk about culture, we talk about an individual family background of culture, but we can also talk about the community and that is where we will really start to look at ourselves, as pediatricians and healthcare professionals, and think about our own culture and the culture that we were raised in and educated in, and think about the types of education and training that we have received and very often the clinicians that practice in the regions with low breastfeeding rates and those that have been educated and trained in similar regions are receiving very little education about how to not only promote breastfeeding, but then how to support women’s positions to breastfeeding. If you have just joined us, you are listening to the clinician's roundtable on ReachMD XM 157. I am your host Dr. Jennifer Shu. Our guest is Dr. Lori Feldman-Winter, associate professor of pediatrics at the University of Medicine and Dentistry of New Jersey at Camden and an Executive Committee Member of the American Academy of Pediatrics Section on Breastfeeding. We mentioned cultural attitude as being possible barriers. What about things like moms who return to work or moms who are uncomfortable breastfeeding in public? What are their barriers do you see as being most common? Well, it is true that in New Jersey when we did a survey looking at why women do not start breastfeeding? Why they do not initiate breastfeeding? The most common reason was that they just preferred not to and many of these women just had poor breastfeeding knowledge and other research shows that women that learn more about breastfeeding, not even necessarily why to breastfeed, but really the skills of how to breastfeed, that mechanics of how breastfeeding works, they are more likely to begin breastfeeding; but then when it comes to continuing breastfeeding that really goes back to breastfeeding support and whether or not they are able to reach breastfeeding goals and that is very strongly related to issues such as going back to work or school and perhaps not being supported in that environment and then not being supported by their siblings or their spouses or their family members or their parents because they had no experience of breastfeeding and so they are not able to support them both emotionally as well as technically to provide the support when they encounter problems. I often hear new moms talk about guilt surrounding breastfeeding. They feel guilty as for some reason they are unable to breastfeed or they choose not to breastfeed or sometimes they will feel guilty or pressured into breastfeeding when they really do not want to. What are some of your thoughts about guilt? Yeah, I think guilt as an issue surrounding breastfeeding, really came to the forefront when we as pediatricians became less complacent about our breastfeeding promotion efforts and really were not enthusiastic about our promotional efforts because we recognized that it was not equal decision that it is very clear from all of the evidence and really mounting evidence that both mothers and their infants and society as a whole have a great amount of gain in terms of the health outcomes as well as the dollars and cents as breastfeeding reducing healthcare expenditures because of healthier infants and healthier mothers; and so because of this tremendous support and enthusiastic promotion, I think this idea of guilt came about because there were those that simply for many reasons, cultural reasons and their upbringing and what they have been exposed to, just turned off about the idea of breastfeeding that they found themselves may be cornered into feeling badly for having chosen not to breastfeed; and so what I say is that in recent studies looking at this issue what we find is that if mothers are given plenty of opportunities to discuss their feelings about breastfeeding throughout the prenatal period, then the choice to not breastfeed is not really bogged down so much with guilt that mothers, who do not breastfeed because they definitely do not want to, feel good about their decisions and do not worry and do not feel guilty. Mothers that choose to breastfeed and have difficulties and cannot seem to overcome those difficulties for a variety of reasons tend to worry more than feeling guilty about breastfeeding. So there is more of this concern that it is not going to work out because of our lack of support system, our healthcare system not really being ready to help manage so many breastfeeding problems. Many women encounter difficulties that they might not otherwise encounter. So, I think that we have a big role to play in terms of overcoming some of the barriers that mothers encounter out there because there are lots of different aspects to having breastfeeding work, both physiologically having the mother’s body and the baby being able to suckle and receive milk from the mother's breast, many different aspects that need to be perfectly arranged in order for the whole system to work just right and so it requires both support system in terms of peer support or family support as well as the healthcare system to be really ready to handle any of the challenges that arise. Where can physicians learn more about breastfeeding and how to counsel patients about breastfeeding? Well, the American Academy Of Pediatrics has a great website for pediatricians, where they can receive online information. They can also receive a book, a handbook that was written by members of the executive committee for the section of breastfeeding, we call it the Gold Book, titled breastfeeding handbook for physicians and that book was co-authored by our colleagues from the American College of Obstetrics & Gynecology and also reviewed by the American Academy of Family Physicians. So this is really a multi-specialty book that really engages all the different perspectives of breastfeeding support and is a good resource. 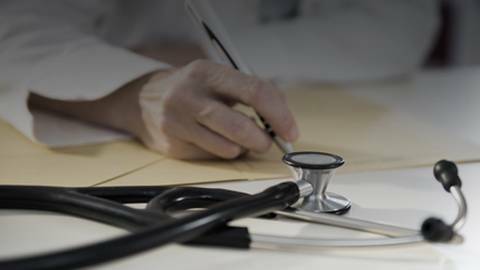 In addition, the American Academy Of Pediatrics just completed a curriculum that will be available online for residency program. So, for Pediatric, Obstetrics & Gynecology and Family Medicine Residency Programs if they are currently not teaching breastfeeding for the up and coming physicians, this is a program that can be easily introduced into the residency program without any additional time just with the of reorganization restructuring, so that residents can begin to learn what they need to know in order to effectively support breastfeeding women. I would like to thank our guest Dr. Lori Feldman-Winter. We have been discussing strategies to improve breastfeeding rates in the US. I am Dr. Jennifer Shu. You have been listening to the clinician’s roundtable, on ReachMD XM 157, the channel for medical professionals. 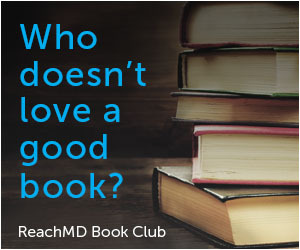 Be sure to visit our web site at “www.reachmd.com” featuring on-demand podcast of our entire library. For comments and questions, please call us toll free at 888 MD XM 157 and thank you for listening. Despite ambitious recommendations that new mothers breastfeed their infants for at least one year after birth, very few mothers meet this objective. Knowing there are barriers to breastfeeding--social, economic, and beyond--how can we help mothers get past these difficulties, where possible? Further, how can we allay the guilt many mothers feel when they're unable to breastfeed? For answers, host Dr. Jennifer Shu talks with Dr. Lori Feldman-Winter, associate professor of pediatrics at the University of Medicine and Dentistry of New Jersey, division head of adolescent medicine at Cooper University Hospital in Camden, N.J., and an Executive Committee member of the American Academy of Pediatrics section on breastfeeding.